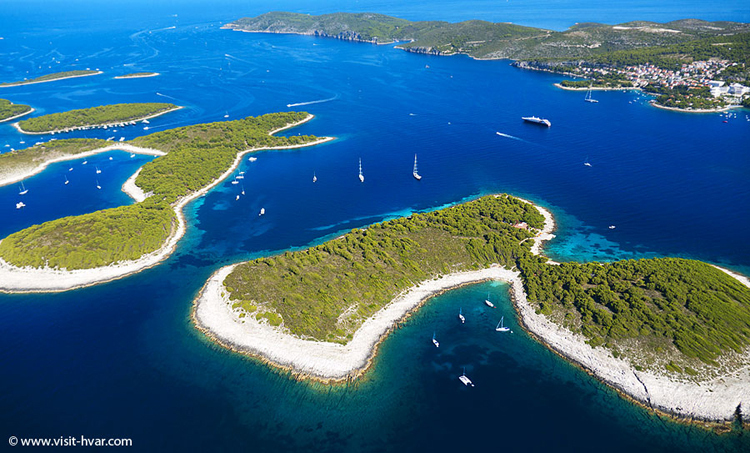 Just off the coast of Hvar in Croatia you’ll find the paradise that is the Pakleni Islands. 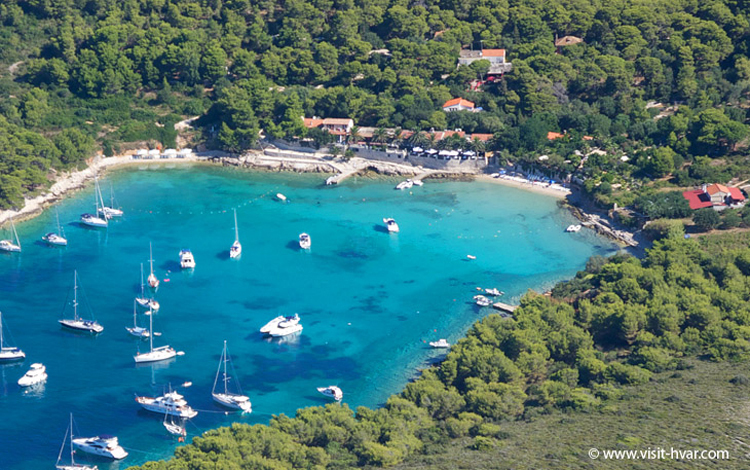 Otok [means island] Sveti Klement is the largest island of the group and has been settled by the Meneghello family since 1906, building up their restaurants and small villas to rent. We’ve been eating here since 2000, when it was recommended by sailing friends, and we’ve returned each trip. 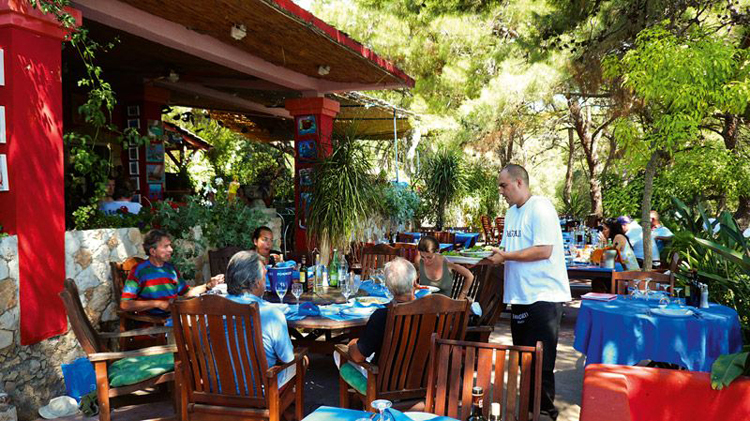 The original restaurant sits on the hill, with an open air terrace overlooking Uvala [means bay] Vinogradišće, a long bay to the south of the islands with golden yellow sand and turquoise water. There is a small ACI Marina in the north of the island, built as the safe haven for the overheated and overcrowded Hvar Town harbour on the mainland a couple of miles away. If you can do without the water and showers, then anchoring in Vinogradišće is more peaceful and beautiful, and you can row or swim ashore to the restaurants. There are plenty of other safe bays for overnight anchoring, but without a restaurant on the doorstep. The variety of food is awesome…whether you are beginning the day with a fresh and healthy breakfast, enjoying antipasto of island cheese and Dalmation olives and pršut, or a magnificent dinner of calamari, grilled škarpina, or Dalmation-style chicken with rosemary – the Meneghello restaurant is open from morning till night. Dine under a bamboo roof, surrounded by plants and local arts and crafts that adorn the colorful walls. This unique setting, overlooking the bay, has a split level terrace for you to enjoy the panorama as you sip some of the best local wines made on sunny slopes of Hvar. A short walk [500-600 metres?] over the island brings you to the marina, complete with [limited] shop and water taxi over to Hvar for shopping or dinner. The restaurant is by no means “haut cuisine” but good local food, with a wide selection of risottos and other shellfish-based dishes. Ring ahead and ask for a table on the terrace, and watch the sun go down over the bay with the yacht anchor lights coming on and twinkling in the clear night sky. There’s good wine made by the family and they also have a second restaurant, “Toto”, just down by the beach. Good food but, for us, the one further up the hill is the original. There are also restaurants run by others but Accept No Substitutes. We’ve been booking our sailing trips with Nautilus Yachting for about 15 years, and had absolutely excellent service each and every time. More recently, they’ve booked us with Dalmatia Charter – superb boats, very well equipped and service that is second to none – and we’ve tried quite a few! The yachts have plenty of battery power and a solar panel [fridge on all the time – sailors will know what we mean – so good for G&Ts], as well as plenty of fresh water capacity. 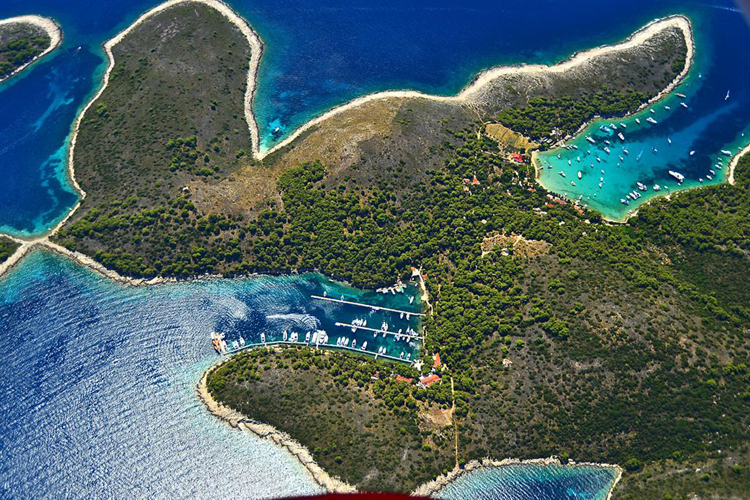 Dalmatia Charter were voted the best base in the Adriatic for the 4th year in a row – you can see a review of them on Euminia. Again, Accept No Substitutes.